BIGNON LEBRAY is pleased to welcome Caroline Cazaux as a partner, with a view to strengthening its Competition & Distribution law department, as of December 3, 2018. 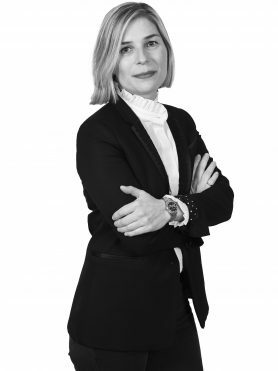 With more than 14 years of experience especially within Fidal and Fourgoux & Djavadi business law firms, Caroline Cazaux have been advising large groups and SMEs on all issues related to distribution and competition law. Caroline has developed significant expertise in the distribution of health (drugs, medical and complementary devices) and veterinary products, as well as food and consumer products. Caroline is involved with her clients on a daily basis, as regards the structuring of their distribution networks, their commercial and pricing policies, and the advertising of their products. Caroline accompanies her clients, both in consulting and litigation before the competition authorities, the commercial and administrative courts. She also provides training to companies, particularly regarding competition investigations and restrictive practices. The arrival of Caroline as a partner in within the Competition & Distribution Law department is part of the strategy to strengthen the firm’s teams and develop its sector-based and multidisciplinary approach. “I am delighted to join a firm with which I share the values of teamwork, among demanding and committed professionals. We also share the same ambition to consolidate BIGNON LEBRAY offer, particularly in the health sector” has indicated Caroline Cazaux, partner.